Merry Christmas, friends! We had a wonderful Christmas and I hope you did too. The kiddos are in bed so I thought I'd hop on my blog and finish my not-so-simple Christmas tour. Surely, no one will read it since it's Christmas and people should be celebrating, not reading blogs. But just maybe, some of you, like me, can steal a moment with your Christmas cookies and laptop, and enjoy some quiet time browsing some pretty Christmas pictures. This is for you! Love my nativity set my mother-in-law gave us. Very pretty and the pieces aren't breakable, my little one loves to carry around baby Jesus and always puts him back in his bed. The other day my little one, who just turned 2, brought baby Jesus to me and told me "Baby Jesus has stinky buns". After I stopped laughing he then told me "Baby Jesus needs clean diaper". Love it! The reason for the season... feeling very blessed this Christmas. My dining room table centerpiece is kind of a hodgepodge but I like it. The glass candle holder was $6 on clearance at TJ Maxx a few years back, it is from Williams Sonoma and it is huge! The wreath is from Pier 1, 90% off last year after Christmas sale, $4.50. I stuck some gold and bronze X-mas tulle stuff around the base of the candleholder to fill the space. I made this no-sew pillow out of a placemat! No, seriously! I got the idea from another blog (if it's you, tell me and I'll give you the credit, sorry, I don't remember) I didn't do anything to it but stuff it and glue the fabric back together. It is perfect in my living room... can you believe that is a placemat? These 2 tall and skinny gold reindeer were new additions this year, of course they were a deal! Love how they look in my bronze and gold Christmas tree forest. We had a very beautiful white Christmas, did you? My kiddos are also in bed and I have enjoyed looking at your beautiful Christmas decor. Merry Christmas!!! oh my!! your Christmas looks gorgeous!! 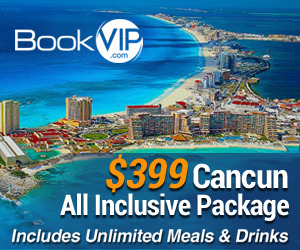 Hello, Just found your site, which I intend to browse at my leisure! I am curious about where you purchased those lovely tall, skinny deer. They are SO charming! I also loved your placemat pillow. 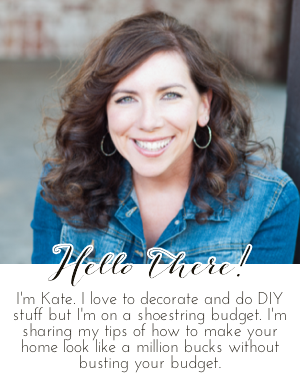 I definitely have a shoestring budget, so I am going to love your blog! Thanks so much for sharing with the rest of the world. I hope that your Christmas Day with your family was all that you could have wished. So, it may not be simple, but it sure is gorgeous! Where did you find the placemat? You ARE blessed and you are a blessing to me! I can't wait to see what 2011 has in store, can you? P.S. WE GOT SNOW ON CHRISTMAS DAY!!! Such beautiful and classic Christmas decor! I'm so impressed by your placement pillow - I've had those on my to-do list for months now, but haven't come across the right placemats yet! Beautiful decorations, Kate! I especially love your tree. We have the same nativity! It will be great when we have kids since the pieces are pretty much indestructible.